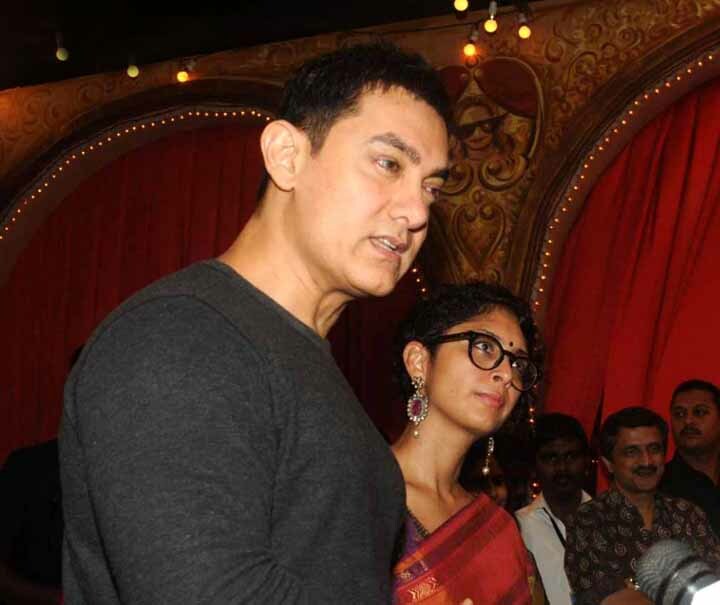 Muzaffurpur : For the controversial remarks on 'intolerance', an FIR has been lodged against Mr. perfectionist of Bollywood, actor Aamir Khan and his wife Kiran Rao, today in Muzaffarpur district of Bihar. According the reports, Advocate Sudhir Kumar Ojha lodged the FIR against Aamir Khan and his wife Kran Rao at Town police station in Muzaffarpur district under sections 153 (Wantonly giving provocation with intent to cause riot), 153-A (Promoting enmity between different groups on grounds of religion, race, place of birth, residence, language, etc), 153-B (Imputations, assertions prejudicial to national-integration) and 154 (Sedition) of IPC. The FIR was registered on the direction of the chief judicial magistrate, Muzaffarpur district, Sushma Trivedi, on a complaint filed by Ojha last week charging the actor with hurting the sentiments of the people by claiming that an atmosphere of intolerance prevailed in the country. Aamir Khan, who known as Mr. perfectionist of Bollywood, had during a function in Delhi recently, courted controversy by saying that Kiran Rao was considering whether to move out of the country with their child due to the prevalence of an atmosphere of 'intolerance'.